by Andy Higgs in Europe, Features, France, Places, We likey. The French capital is one of the most-visited cities in the world – and deservedly so. But it’s easy to get stuck following the trail of the tour groups and feel like you’re on the same circuit as hordes of other travellers. Now of course you have to see the Eiffel Tower and the newer stars like La Grande Arche. In the evening, there’s once place you need to experience at least once on your life and despite what you may have heard, getting Moulin Rouge tickets is not hard if you plan ahead. * er, let’s say there’s an above-average chance that they won’t have experienced all of them, okay? 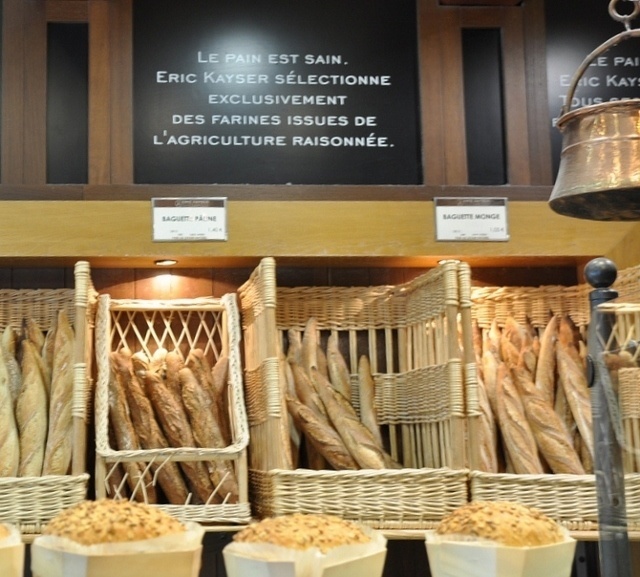 Everyone who goes to Paris expects to sample pain au chocolat and a croissant or five, but rather then any old bakery why not visit one of the many branches of Eric Kayser where Parisians will queue for their daily fix come rain or come shine? You can pop in for breakfast (either one from the set menu or one you put together yourself) and if you’re very lucky you’ll be able to snag a table and enjoy some of Paris’s best coffee to accompany your petit dejeuner. Or alternatively you can grab something to go; from a mouth-watering baguette (a meal in itself) to a sweet treat you’ll be spoiled for choice. 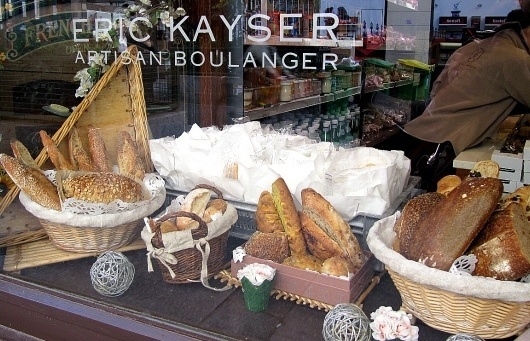 Eric Kayser – Multiple outlets, see website for opening hours and directions. Location visited: 8 Rue du Bac, 75007 Paris. Tuesday-Sunday 0700-2000. One of the first products I associated with France was Perrier, mainly due to extensive advertising on UK TV in the seventies. The French have always been fans of bottled water, something that has clearly irritated the water companies who are proud of the quality of their tap water. Whilst you will have to forego the funky pear-shaped bottle of the aforementioned brand you can now fill your own with sparkling Eau de Paris water at a public fountain in the Jardin de Reuilly. Yes that’s right, sparkling water – chilled to perfection. 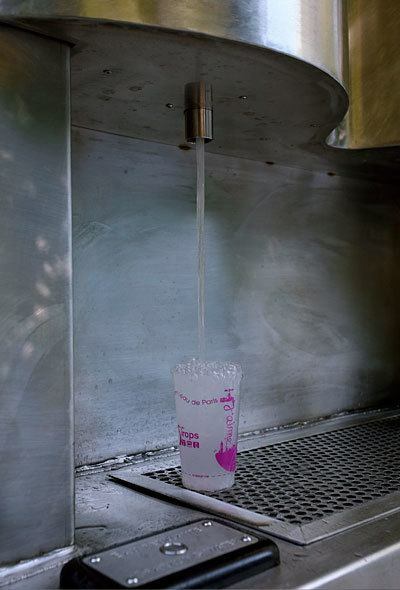 Not content with having over 800 drinking water fountains, Parisians can now forego buying the fizzy stuff and fill up for free. This is a good idea – France consumes a lot of bottled water, each person glugged down around 28 gallons of still or sparkling water in 2009 which resulted in an estimated 262,000 tonnes of plastic waste. 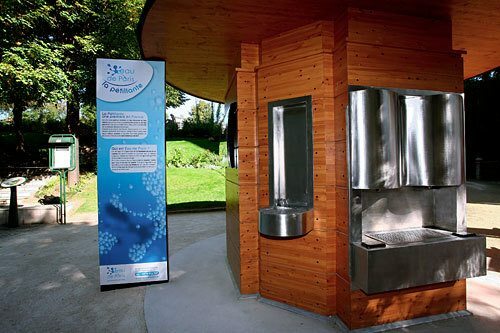 Based on a concept from Italy – where there are now over 200 sparkling water fountains – the hope is to get Parisians to drink tap water again and reduce the environmental impact of all those bottles. The Italian version has already been dubbed a success and is believed to have saved 50 tonnes of CO2 and 400kg of carbon monoxide, which is worth celebrating with a glass of bubbly (water). La Pétillante – Jardin de Reuilly, 75012 Paris. The Paris Headquarters of UNESCO, the United Nations Educational, Scientific and Cultural Organization, has a wealth of paintings and sculptures on display in the Y-shaped building near the Eiffel Tower. 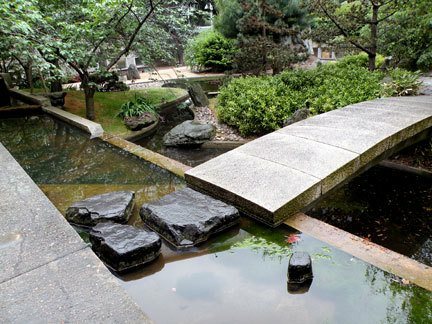 But less well-known is the tranquil Japanese water garden known as the Garden of Peace. Quite apart from the beauty of the place it is also home to one of Paris’ more unusual sights – the Nagasaki Angel. On 6 August 1945, the first atomic bomb was dropped on Hiroshima, flattening the city and leaving 130,000 people dead. Three days later, another B-29 dropped an even more powerful atomic bomb on Nagasaki which essentially vaporized the place. 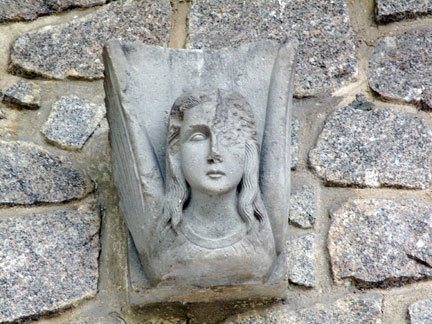 In the suburbs of Nagasaki the largest Roman Catholic church in Japan in Urakami was completely destroyed but when survivors searched the ruins they found part of a sculptured angel that had survived. Her torso was gone but her head and wings remained intact, providing a much-needed symbol of hope to the locals. Her face was still recognizable but the bomb had damaged one eye; at first glance it looks like she had been crying. The Nagasaki Angel was a gift to UNESCO from the city in 1976 to celebrate the Organization’s 30th anniversary. 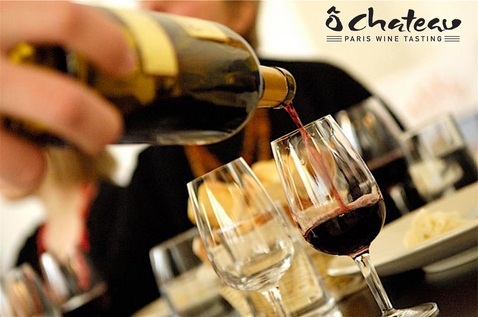 Where better to learn about wine than Paris? Italians might have something to say here, but anyway; when in the French capital you are going to be drinking the stuff – why not become a little more au fait with all it has to offer? Marketing itself as a ‘cool wine tasting company’, Ô Château’s owner Olivier Magny is quick to explain that its doors are open to all. One of the main aims was to reduce the snobbery that can be associated with the wine world and he certainly appears to have succeeded. 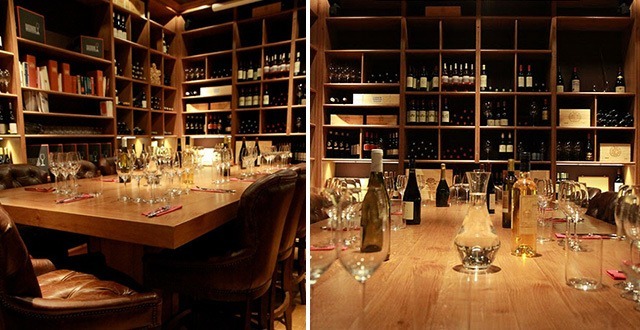 There are some 40 different wines for tasting by the glass, and you will even have the opportunity to sample several extremely rare and expensive bottles in understandably smaller quantities. This is due to some fancy high-tech devices enabling wine to be kept fresh for longer. This may just be your only chance to sample Chateau Petrus without re-mortgaging your house. For those wanting to learn more, there are three sessions a day in the more intimate tasting rooms. As you can see from the photos here the premises themselves are beautifully appointed. The last time we checked there were five different tastings on offer and you’ll need to book in advance. By the way, all tastings are held in English so the language barrier should not get in the way of your grape-based enjoyment. Finally we had to share this place with you. From the outside it looks rather ordinary, a tiny place with a red front that you would probably walk right past even when hungry. Peering inside you’ll see only a handful of tables and minimal decoration – but this should be interpreted as a clue to the focus on one thing – the food. The menu changes daily and is written on blackboards on the walls; there are also specials each day. The Chef, Cyril Lalanne, uses only the finest produce and conjures up a mouth-watering range of dishes. On our visit we had duck pie as a starter, pork as a main course (but this is no ordinary pig – rather the cochon noir de Bigorre, an ancient breed with a fantastic flavour) and a variation on rum cake called Baba a’l’armagnac, which has to be eaten to be believed. Service is excellent, the staff are as passionate about wine as food and their recommendations can safely be followed. Given the size of the place you’ll have to call and make a reservation- English is spoken both on the phone and in the restaurant so don’t hesitate to make that call. 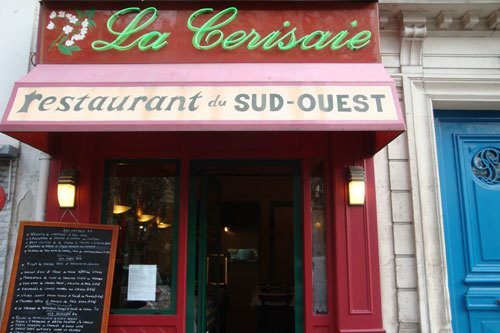 Without a doubt the culinary highlight of a long weekend in Paris – and a restaurant to which we will definitely return. 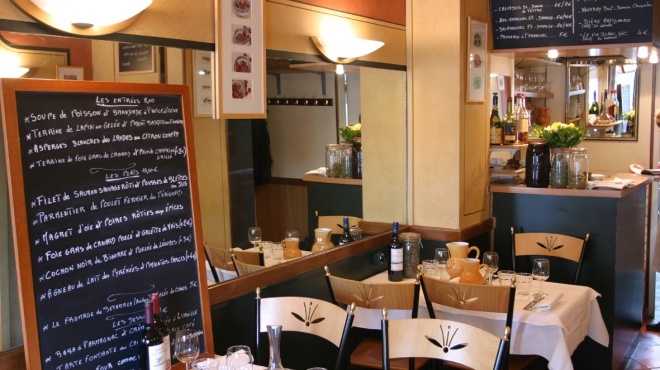 Do you have anything you’d like to add to this list – something out of the ordinary in Paris? Please add your tips in the comments below, we’d love to hear from you!